Probably best known for their credit cards, Discover Financial has become one of the top student loan providers in the US in recent years. 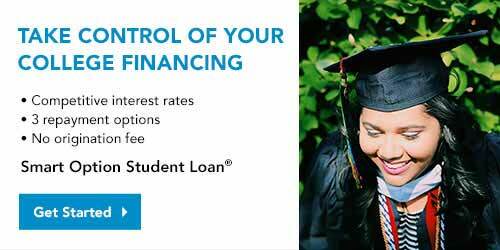 In addition to providing Stafford and PLUS loans, they also have Certified Private Loans for College Students. Discover stands out from many of the other lenders by eliminating repayment, guarantor and origination fees. They have a fixed repayment term (15 years) that does not start until after you have completed your degree. Unfortunately, only 4 or 5 years degrees seekers are eligible for Discover Certified Private Loans for College Students. Other Information: You can decrease your interest rate with Discover by signing up for auto-debit (automatically having your loan payments taken out of your checking account). Discover also brings its famous “cashback bonus” system over to student loans by offering a 2% graduation reward, based on your principal interest.